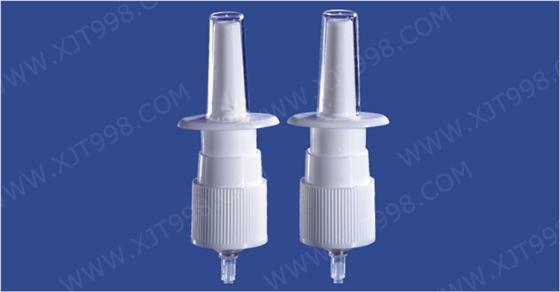 Nasal Sprayer, also called as Nasal Spray Pump, Nose Sprayer, Nasal Mist Sprayer, Nasal Mist Spray Pump, etc., is a pharmaceutical packaging or tool to deliver medical liquid into the nose as mist. 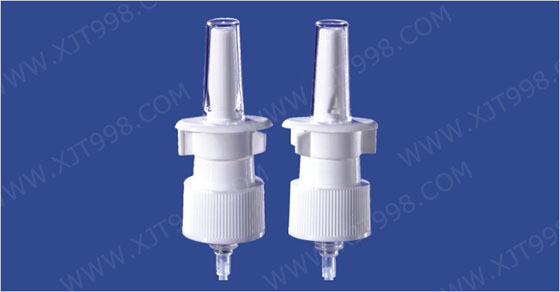 Nasal sprayer will be used together with a bottle, that is, nasal spray bottle. 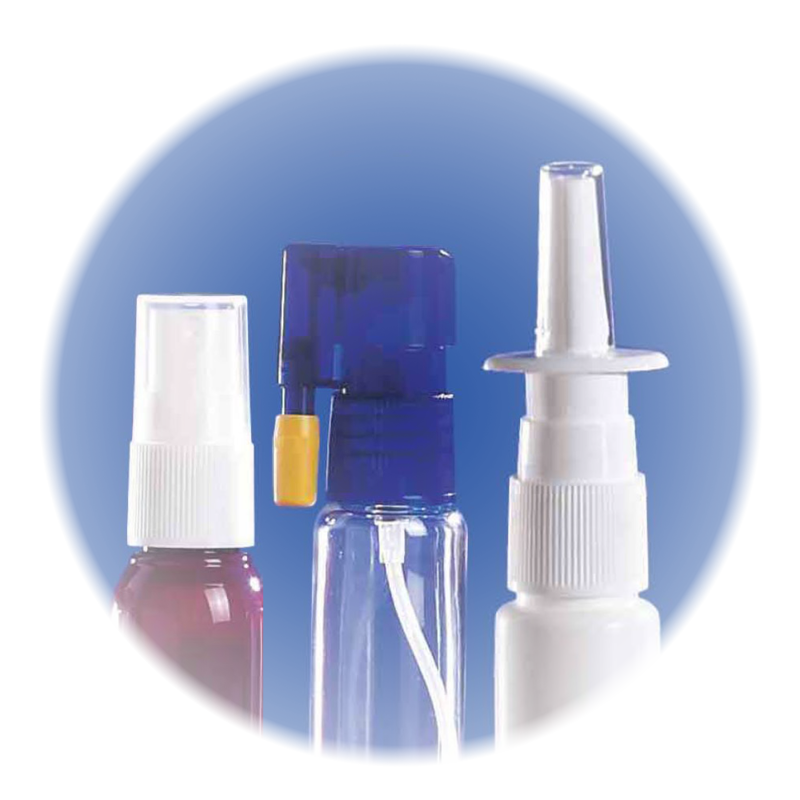 Through pressing the wing by fingertip, medical liquid in the nasal spray bottle will be sprayed out as mist. 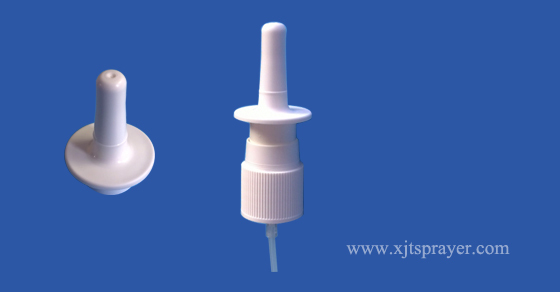 XJT produces nasal sprayer using only the well known safe materials. No POM, nor rubber is contained. All materials are FDA standard. 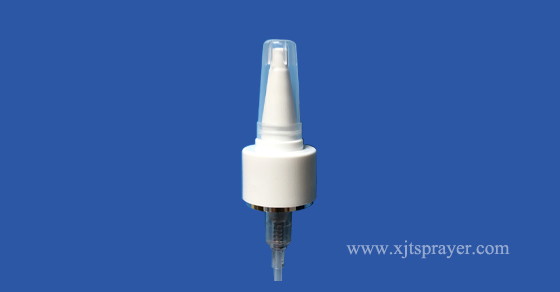 Note: XJT nasal sprayer or nasal spray pump is a plastic packaging material which is a non-electric pump. 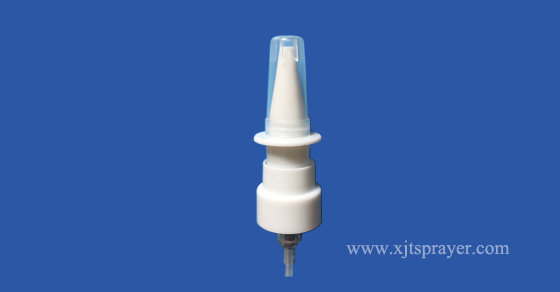 The core of XJT nasal sprayer or nasal spray pump is a plastic valve or pump which is triggered by purely physical pressing. 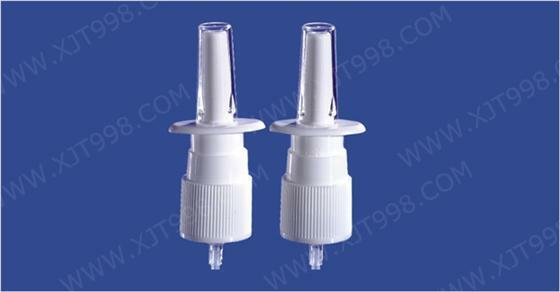 The dosage is determined by the design of the valve or pump. 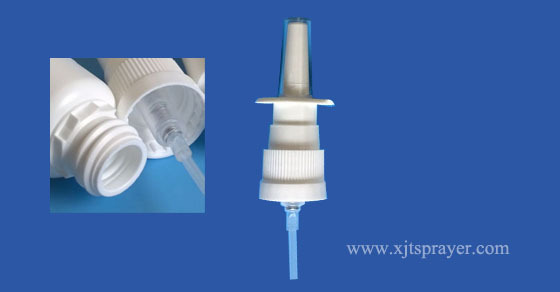 A nasal actuator will be assembled on the valve or pump to form a whole nasal sprayer or nasal spray pump. 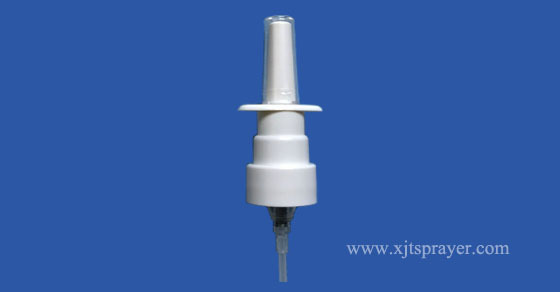 The second point is that, for XJT nasal sprayer or nasal spray pump, the mist is sprayed out by pressing the valve or pump. During spraying process, pressure increase inside the valve or pump instead of inside the bottle. 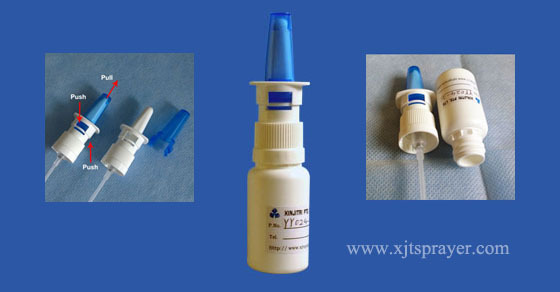 That is, XJT nasal sprayer or nasal spray pump is non-squeezing bottle type and non-aerosol type. Options of different nasal actuator’s shape to meet various requirements. Below is XJT’s typical nasal sprayer or nasal spray pump but our products are not limited in this range. 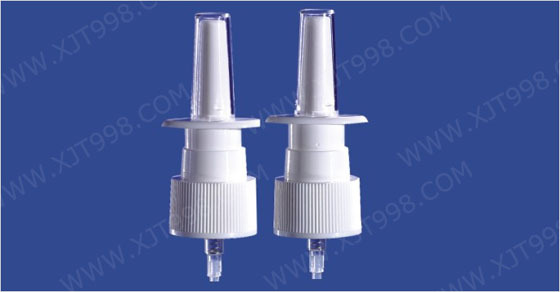 For nasal spray bottle, please refer to Nasal Spray Bottle.